This is a special person that embodies all of what Villa Hope stands for! 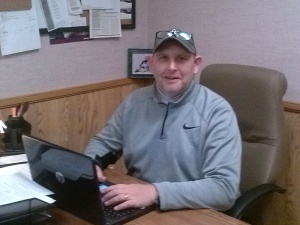 Sean started at Villa Hope in 1995 after moving to the Fox Cities from Sheboygan. He brought experience in the field of mental health, having worked in crisis and residential treatment settings since the age of 18. Sean began as a Program Assistant and demonstrated an enormous compassion for the residents he served. He also showed his leadership skills and took on greater responsibilities over time. He was named Program Director in 2005 and in 2011 was promoted to Outreach and Community Referrals Director in 2011. Sean is a tremendous advocate for the residents of Villa Hope. He has become well known in the professional community and has endeared himself to hundreds of residents over the course of his 20+ years at Villa Hope. We are all grateful for his dedication and compassion! Congratulations Sean!!! We want to take a moment to thank and recognize the employees with whom we are celebrating anniversaries in April, May and June of 2016! Thank you all for your hard work and dedication to our Residents and clients, and to our mission here at Villa Hope!!!! We look forward to each of these talented individuals joining our caring community at Villa Hope.